Workin’ on Crafts | Stitch, Brinn, Stitch! I currently have a whole series of works-in-progress going, of various and sundry crafts. 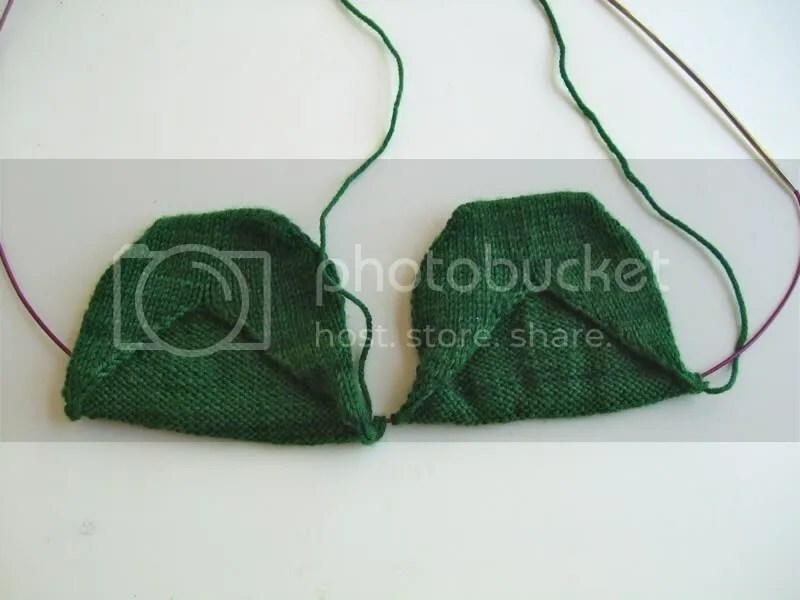 It’s summer and I’m unemployed, which means if I only stick to one stockinette-based project at a time, I’ll lose my damn mind. Finished the back and am working up the front. 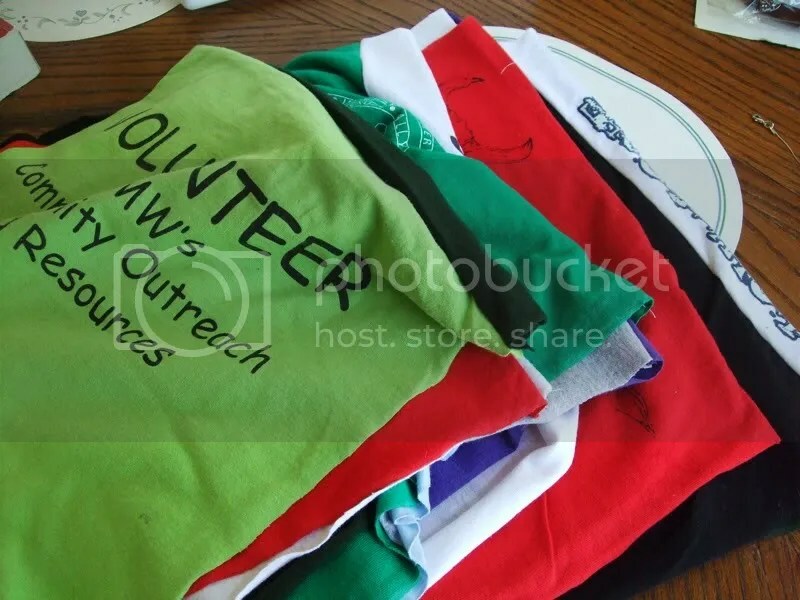 I took all the shirts (mostly free) I got from my years at UMW, cut squares from the graphics, and am in the process of sewing them into a t-shirt quilt. They’re sewn in columns currently, so I have to sew the columns together, but I picked up a large sheet at the thrift yesterday for a backing, so at this point it’s just a lot of sewing. I haven’t decided if I want to do an edge binding (probably not because JESUS that would take forever), but I’ll definitely be quilting and top stitching. Loooooots of top stitching. 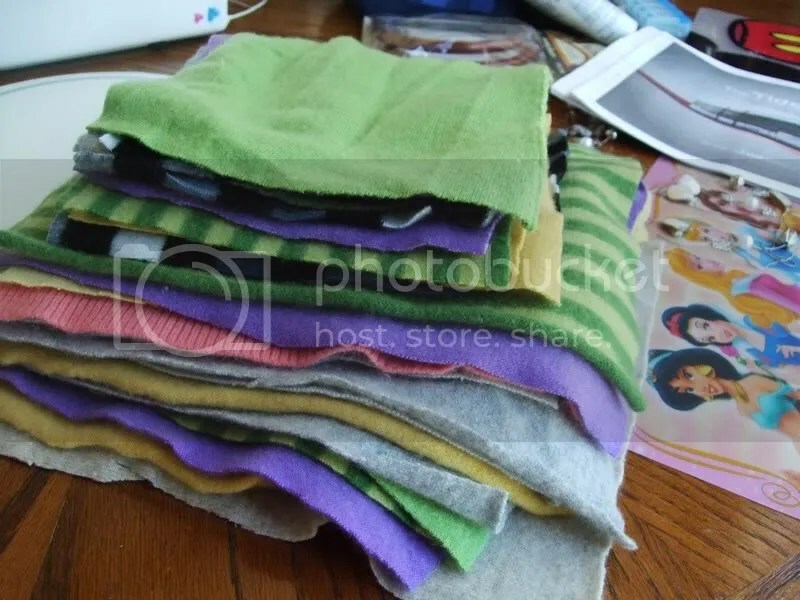 That there is a stack of delightfully soft felted cashmere squares cut from various thrifted sweaters. 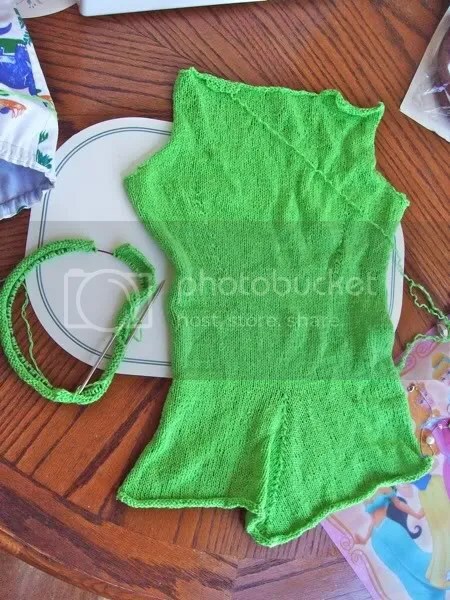 I need about one more sweater’s worth of squares and then I have to sew it all together. Not sure how I’m going to do that yet (overlap and zigzag stitch maybe? ), but I know when it’s done, it’ll be ohhhhhhhh so soft and warm. So that’s what’s in the works. I’ll probably finish the new design first but I might hold off on showing it off until the pattern’s done. What say you, readers? 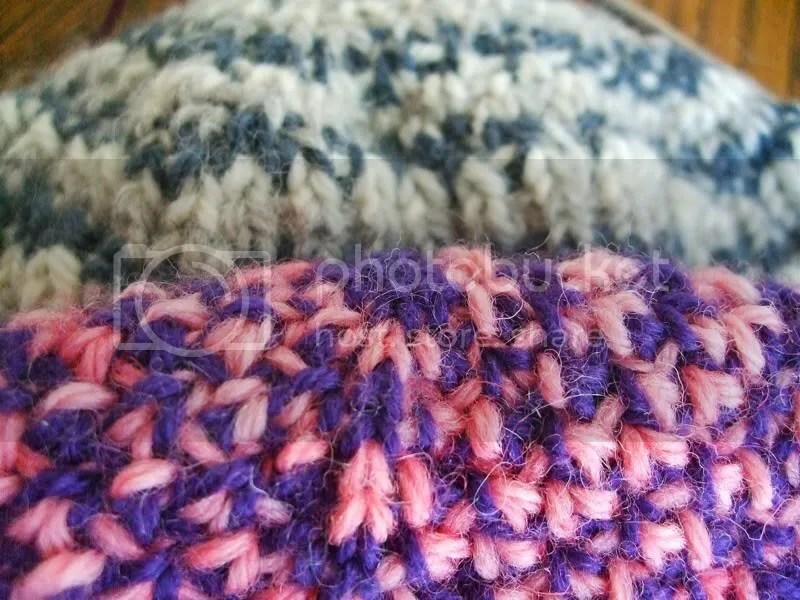 Do you prefer to see the FOs as I knit them and then the pattern updates or save everything for the pattern update?